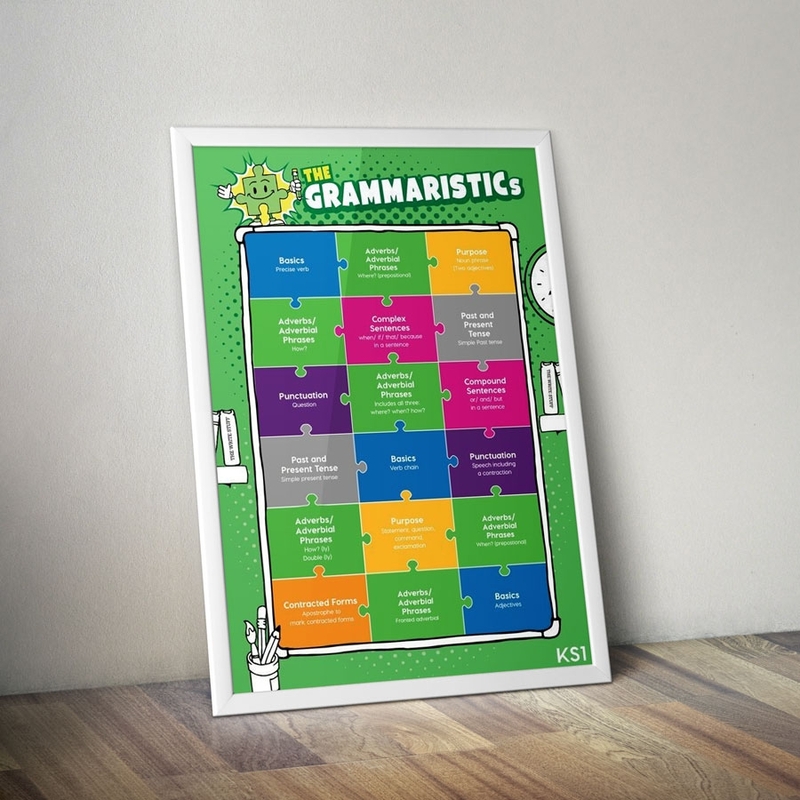 The BOOMTASTICs are a child friendly, bold and clear resource that aid the teaching of poetic devices when teaching writing. They captures the ten powerful ways to add drama and poetic devices to writing so that it explodes on the page for a reader. Included in this collection of icons are all ten BOOMTASTIC characters in JPEG, PDF and PNG formats. 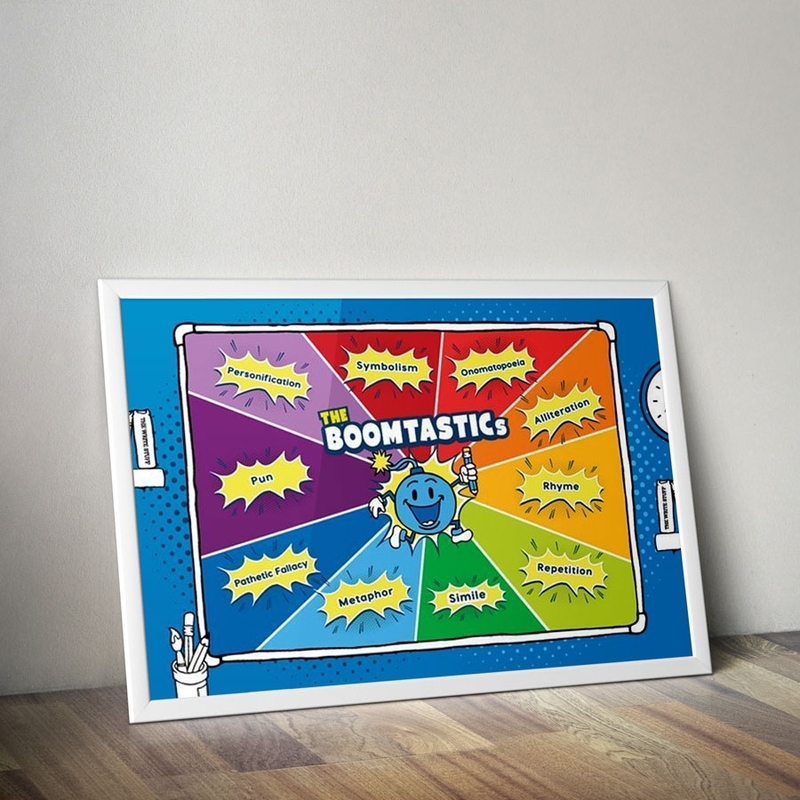 “Our school went FANTASTIC and BOOMTASTIC a year ago and we haven’t looked back, Results have soared and writing is now so vibrant and alive, BOOM! 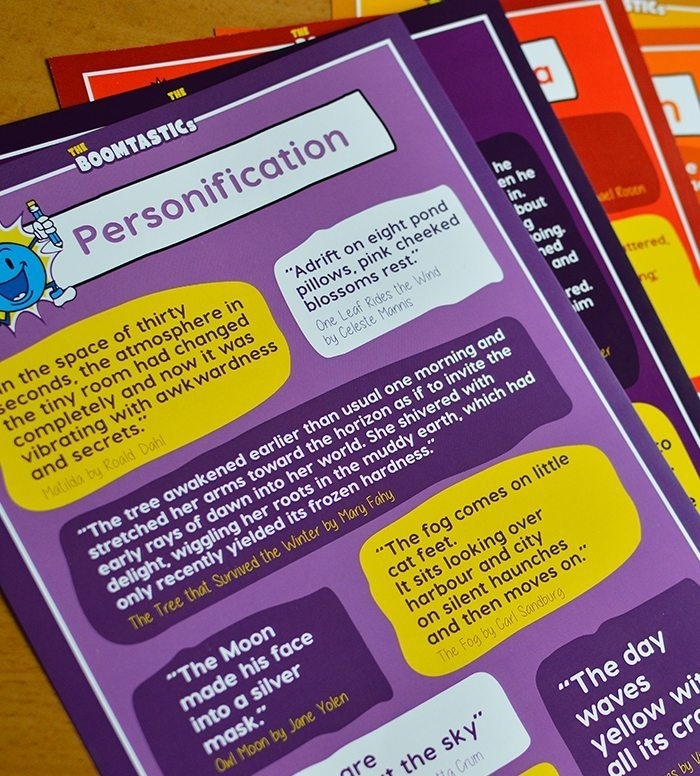 The BOOMTASTICs are a child friendly, bold and clear resource that aid the teaching of poetic devices when teaching writing.They captures the ten powerful ways to add drama and poetic devices to writing so that it explodes on the page for a reader.